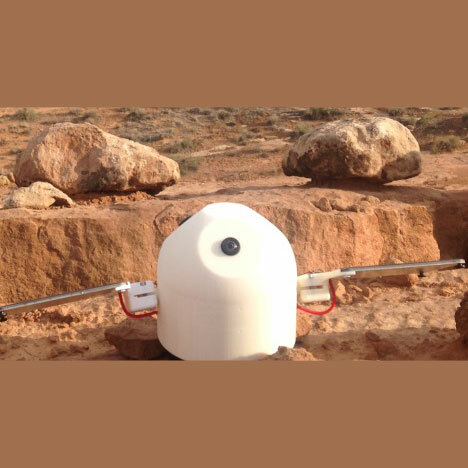 The HRI Autonomous Field-deployable Multi-sensor Anomalous Event Detector (AFMAED) is a system for autonomously detecting, deciphering and transmitting details of events in its vicinity which rise above the ambient. Real time data from on-board sensors is passed through a machine learning algorithm that detects anomalous readings, i.e. different from normal baseline. When abnormal levels are detected the device will batch the current readings from all the sensors and store them in the local flash drive. At random times the device will send the events’ markers and corresponding data to the cloud for storage and alert generation. The device utilizes a high power dual-core processor. Therefore the sensor data can be processed locally. In addition, there will be a streaming option that will stream all the sensors in real time to the cloud. Due to the large volume of streamed data from the sensors it is not practical to stream all the data over WiFi to an external processing system like the cloud so machine learning training will be accomplished by taking sensor readings in all environmental situations assumed to contain no anomalous events. Each device will upload anomalous readings to a secure Amazon AWS for instance. The AWS system will use the anomalous data from each device to send alerts to registered users. The anomalous data will also be used to further train the devices thereby improving accuracy. Sensor data and anomalous event data will be stored in a secure database on AWS. Functionality on the AWS system will include correlating events from nearby devices. In addition, panoramic views can be constructed from the three onboard cameras in each device providing a virtual three-dimensional viewing screen. A web portal will provide access to authorized users of all the devices. A smartphone app will allow registered users access to the anomalous events and other data coming from the devices.